One of the ways I spend my time here is trying to gain publicity for the Dubai Chamber Orchestra - a lovely bunch of professional and amateur musicians who are kind enough to let me saw away badly in the violin or viola section (depending on requirements) each Wednesday night and join them for concerts, even though I am usually late every week due to having to wait for Him Indoors to get home from work to look after Desert Baby so I can leave for rehearsal. 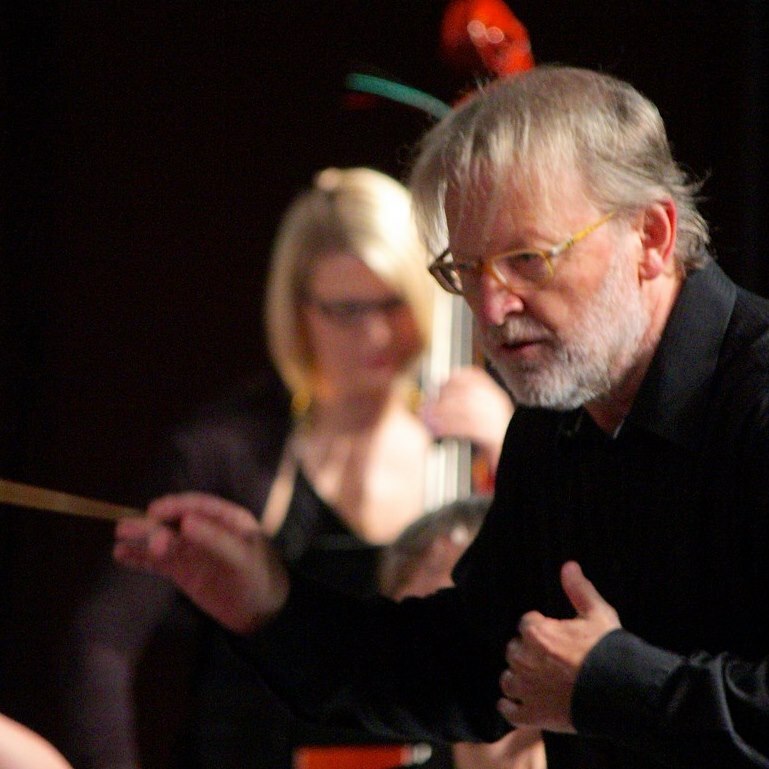 In recent weeks, I have tried and failed magnificently to get various newspapers, magazines and websites interested in writing about the departure of our dear conductor and musical director Barnaby Priest, who conducted his final concert with us on Thursday, 2nd February, after more than eight years in charge. I am not sure why I failed, probably because I am not as efficient as I used to be post-Desert Baby, but also, I suspect, due to the fact that staff at most media outlets now barely have time to lift their heads up from inboxes bulging with press releases about the latest incontinence pants, "clean eating" diets and the most recent cacophony created by one Donald J Trump. Grrr, the state of 21st century journalism, etc. Another reason they were less than interested may be that that saying goodbye is a regular part of life for us expats here in Dubai - the majority of us are only here because we (or in our case Him Indoors) have something useful to contribute to society or business, and we are granted a visa to live and work here (I don't, I am a burden on society, I am on a spousal visa but that's another story). These figures, published last year, suggest that just 11 per cent of the 9 million odd population are actually UAE Nationals, with the biggest nationality group Indians at 28 per cent and Pakistanis at 13 per cent. Presumably the Brits are lumped in with "all other nationalities", although I've seen suggestions that the numbers in Dubai alone are in the hundreds of thousands. So basically, unless you do something pretty special, when retirement comes around, if you are not being sponsored by someone else, you are out. I digress, as the purpose of this post, then, due to my magnificent failure to do it elsewhere, is to say Shukran and Ma'a Salama to Barnaby, who has been the fearless leader of the Dubai Chamber Orchestra since 2008. Then he took over as musical director. I can only speak for the time since I joined in around 2011 or 2012, but I have always been staggered by his commitment - choosing repertoire, organising concert dates and venues, sourcing sheet music, badgering us all to turn up every week, and he has gone beyond that - composing and arranging music for the orchestra, and this is all on top of a full time job working at a university. I may have raised an eyebrow at some of his more unorthodox repertoire choices from time to time, but I can honestly say I have never looked back on any of our concerts and thought "well, that really didn't work". It's a long time since I've had stage fright, as I have been playing music in one form or another for (cough) 32 years, but I have never been so frightened in all my life as I was the night we played the really quite difficult Shostakovitch Chamber Symphony at our 10th anniversary concert. But, Barnaby has always managed to make it work in the end, it has always been alright on the night. It is a huge challenge conducting an orchestra in a place like Dubai. As I explained previously, most of us are here at the whim of some multinational company or other, so the orchestra line up changes on a season by season basis. Barnaby has always managed to search through his encyclopedic knowledge of orchestral repertoire and think of something that can be played by 10 violins, 3 violas, a couple of flutes, one oboe, two horns and a trumpet, or whoever happens to be available that season, or persuade absent or new players to join and make up the numbers. Or, failing that, he composes or arranges something himself. Just that one sentence alone sums up how incredibly lucky we have been to have someone like him in charge. Harking back to my own early experiences of the orchestra, it's fair to say we have come a long way in five short years. When I joined, I am not sure I had opened my violin case for several years, but decided joining an orchestra would be a nice way to meet some new, like-minded friends. I turned up to Safa Private School and scraped away at the back of the violins really quite abysmally, my fingers stiff and unaccustomed to finding the notes and my bowing arm aching like crazy after just two short hours of rehearsal. I felt pretty discouraged by my horribly inept playing and considered leaving and never coming back, but I sidled up to Barnaby for a chat at the half-time break, and he said: "Can we do this over a cup of tea? I'm absolutely parched." It was if a window had opened in the ceiling and the sunlight poured in at that very moment (it hadn't, it was evening, but suspend your disbelief, damnit) - the use of English colloquialism "parched", said with the ever so slight Southern England twang, - the desire to drink hot tea for refreshment even though it was several billion degrees Celsius outside. It was like coming home. "I think I am going to like it here," I said to myself. Since then I have played in as many concerts as I could when not heavily pregnant or dying of baby-related exhaustion, the orchestra's audience has swelled in size and enthusiasm, with us frequently receiving standing ovations. We have moved to a new rehearsal venue, the superb Centre for Musical Arts, and each season, I have watched new players arrive and be greeted with warmth, kindness and enthusiasm by Barnaby. 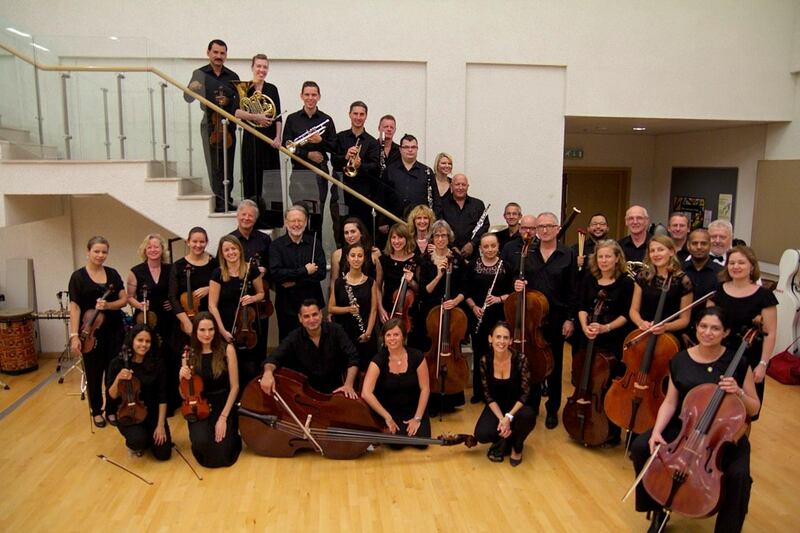 Being allowed to play in the orchestra, in such a supportive, friendly environment, has done a huge amount for me - it opened the door to paid work as a musician, something I never would have had the opportunity for back home, including with the UAE's flagship orchestra, the NSO, and met and made friends I am sure I will keep for life. I will always be grateful to Barnaby for those opportunities, because without him, they would simply have never happened. I am sure I am not the only one who can say that. Thank you, Barnaby, safe travels, and viva la musica. What a lovely tribute! I work with Barnaby in his "other life", and he will indeed be missed there, too. How lovely for anyone to leave with such a tribute - It sounds like his will be large shoes for someone else to fill! My memory of him goes back almost 30 years to trying to sing Carmina Burana in an amateur choir formed from ex-pats in Brunei when our two families met whilst teaching there. I wish him and Luciana good luck as they move on.